Finally! – It has arrived, what every cottager has been missing from the cottage experience. A Cottage Hot Tub! Not just any ordinary Hot Tub, a Wood Burning Hot Tub! Forget about high operating cost, electricity, chemicals and maintenance that comes with a conventional Hot Tub. We have developed the perfect hot tub for the cottage. The Cottage Tub is designed to take 500 gallons/ 2000 Litres of lake water (Friday night) and heat it to hot tub temperatures (100-104 degrees F) in 2-3 hours, depending on your starting temperatures. 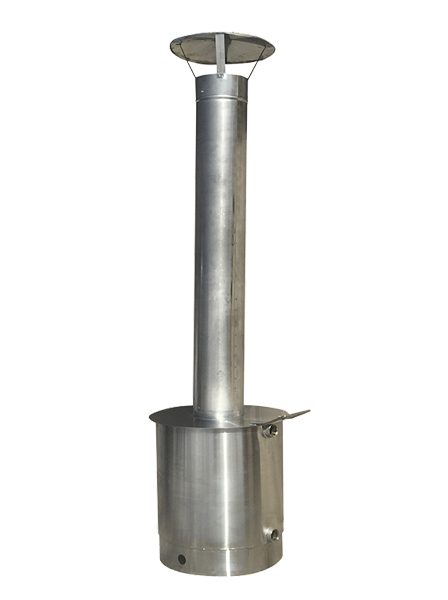 The heating component is our smallest wood burning pool heater known as the Mini (https://www.woodstovepools.com/silver-barrel), which is designed to heat a 10,000gallon swimming pool, thus the reason it heats the Cottage Tub so fast and efficently. Once the tub is heated to operational temperatures it takes only an armful of wood per day to maintain those temperatures. Empty the water into your gardens, lawn on Sunday before heading home, a true environmental conscience Hot Tub (No chemicals required). The Cottage Tub and Wood Burning Stove (The Mini) are 100% stainless steel. The stainless steel is a key feature in the Cottage Tub’s construction giving it longevity and many many years of enjoyment; there is no other hot tub on the market made of stainless steel. Seats 4 to 6 people comfortable with one of the seats being a deep seat. Uses lake water – no chemicals required. Fastest heating wood burning hot tub on the market, it heats a 10,000-gallon pool, therefore heats our 500-gallon Cottage Tub in 2 hours – this is unheard of! Very light to move into position, 2 people can easily put the tub into place. We have put the Cottage Tub on boats in order to get them installed – Cottage Tub is 140lbs, heater is 85 lbs. Did we mention it is 100% stainless steel and as a result will be passed down through the family. (optional) Can cook inside the wood burning stove while heating the Cottage Tub – ask about our grill kit. 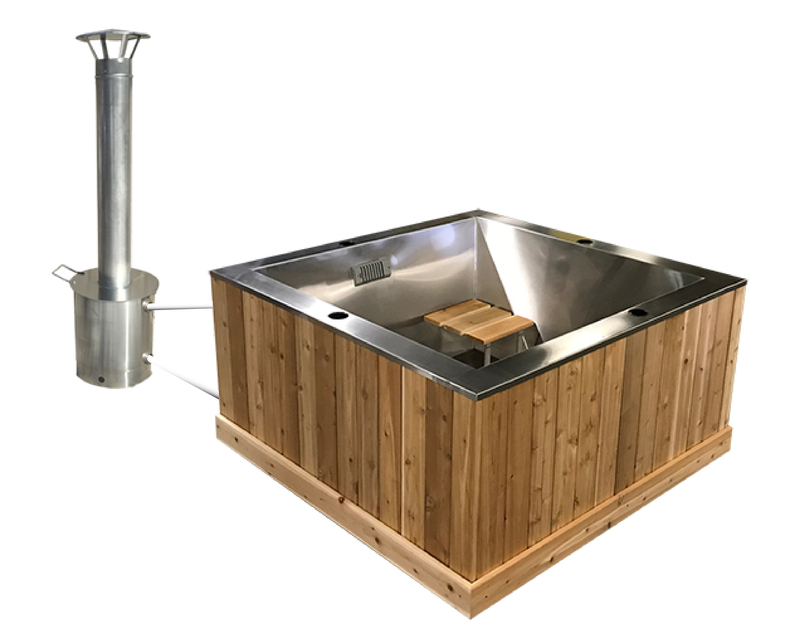 (optional) The only Wood Burning Hot Tub on the market that can come with a pump and filter. The pump draws 1.3 amps and is 1/15th HP, therefore, those cottages that use solar, the draw from the pump is so minimal that this could be an option for you. (optional) The pump circulates the water through the filter giving you a cleaner hot tub and then through the 2 jets giving you water circulation and action.